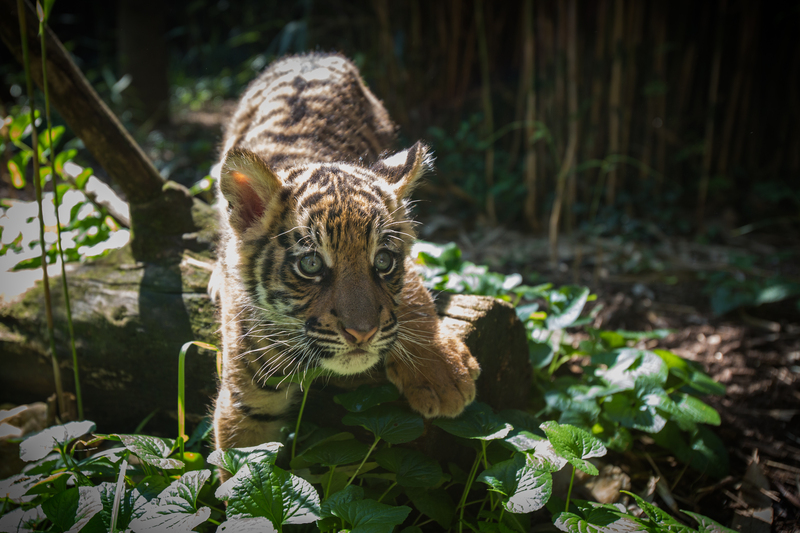 This morning, the Smithsonian’s National Zoo is transporting its 9-week-old male Sumatran tiger cub to the San Diego Zoo Safari Park, where he will live and thrive with another young male tiger cub. Southwest Airlines is providing the transportation for Zoo staff and the cub on the non-stop flight, which departed at 8:25 a.m. EDT from Baltimore-Washington International Airport in Maryland. 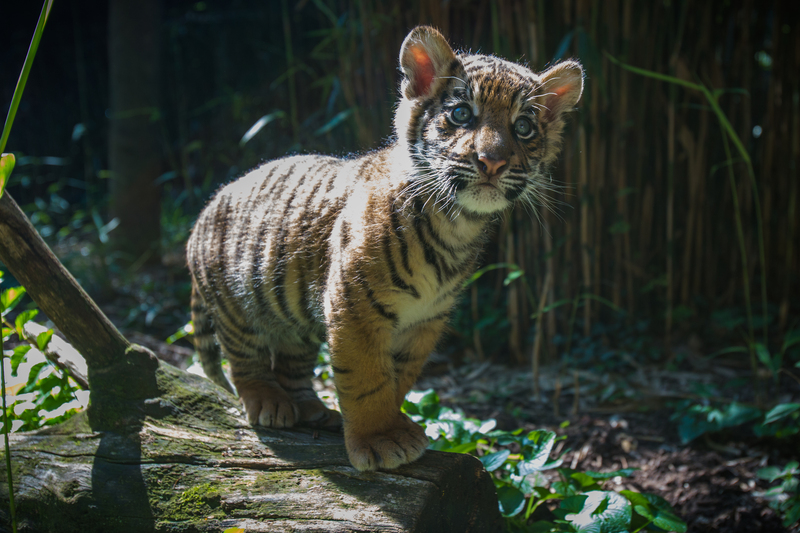 The Zoo will be sharing moments of the cub’s journey to San Diego on Instagram (@SmithsonianZoo) using “#TigerStory.” The San Diego Zoo Safari Park received a male tiger cub (genetic lineage unknown) Aug. 23 from the U.S. Fish and Wildlife Service. U.S. Customs and Border Protection officers found the cub while inspecting a vehicle that was entering the United States from Mexico. Due to legal restrictions, that cub is not permitted to leave California. 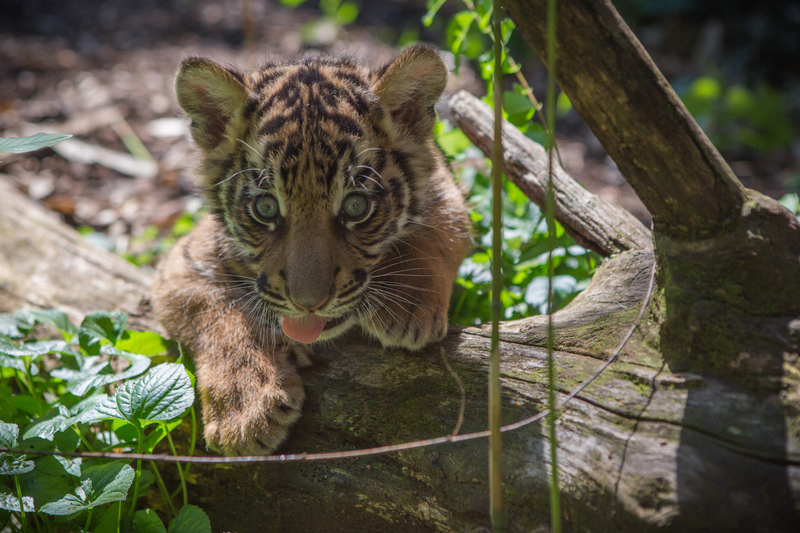 Since Aug. 2, the Zoo’s Great Cats team had been providing support to the Sumatran tiger cub born July 11 through supplemental feeding. When he was just 19 days old, his mother Damai began displaying aggressive behaviors toward him whenever he tried to nurse. It quickly became evident to animal care staff that Damai was either not producing enough milk or had stopped production altogether. 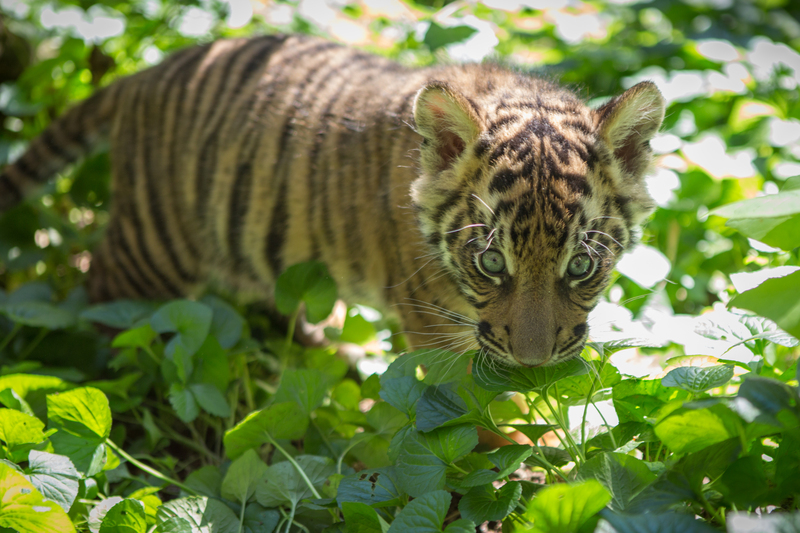 Zoo nutritionists provided the keepers with the ingredients and recipe needed to sustain a growing cub: a combination of kitten and exotic animal-milk replacers that were formulated to approximate the nutrient composition of tiger milk. The formula is mixed with small amounts of the ground beef-based feline diet that he will consume as an adult. The Zoo shared an update about the supplemental feeding Aug. 28 on its website. The cub is in good health. Keepers continued to reintroduce Damai and the cub while providing supplemental feedings and she continued to care for him. She was attentive to his needs, groomed him and socialized with him. However, her behavior changed again Aug. 23, and she became increasingly more aggressive up to the last introduction conducted Sept. 4. In addition to other behaviors that signaled she had entered estrus—reluctance to shift between indoor and outdoor enclosures, change in appetite and vocal responsiveness to the male tigers’ solicitations—she once again began exhibiting aggressive behaviors toward her cub, including growling, barking and biting at him. Keepers separated Damai from her cub and gave them visual access to one another through the “howdy door.” While the cub’s behaviors clearly demonstrated that he was interested in spending time with his mother, unfortunately she did not reciprocate. He would “chuff”—a friendly tiger social greeting—and she would not respond to him. 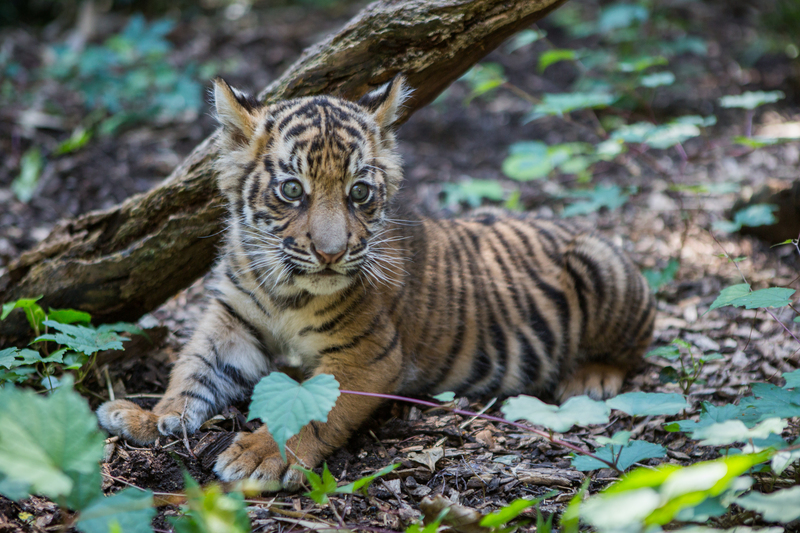 Knowing that the likelihood of a successful reintroduction diminished with each passing day that Damai and her cub did not socialize, the Zoo’s animal care staff made the decision to transfer the cub to the San Diego Zoo Safari Park. The Great Cats team will consult with the Association of Zoos and Aquariums’ (AZA) Species Survival Plan (SSP) to determine if and when Damai and Sparky will receive a recommendation to breed again. Because Damai successfully raised two cubs in 2013, the circumstances surrounding this cub is unlikely to affect the SSP coordinator’s decision whether to breed Damai again. Rather, the decision will be based on the needs of the entire AZA Sumatran tiger population’s needs.